Are you interested in the culture of Hong Kong or Macao? 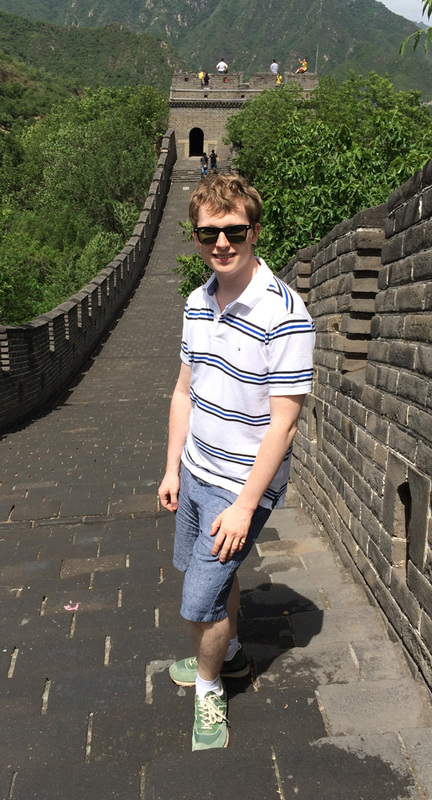 Or do you have a friend or family member that you'd like to be able to speak to in Cantonese? Or maybe you've learned some Mandarin, but you're curious about Cantonese as well? Would you like to be able to start speaking right away? Are you looking for a simple way to pick up the basics in Cantonese? Do you want to get going, but you're unsure about the best way to get started? Cantonese is the flavour of Chinese spoken in Hong Kong, Macao, Guangdong Province in South China, and by some Chinese speakers in the US, Canada and around the world. It's at the heart of the culture of Hong Kong, including its entertainment industry, kung fu movies, martial arts and more. And Cantonese is one of the most fun varieties of Chinese! But it's not easy to pick up. 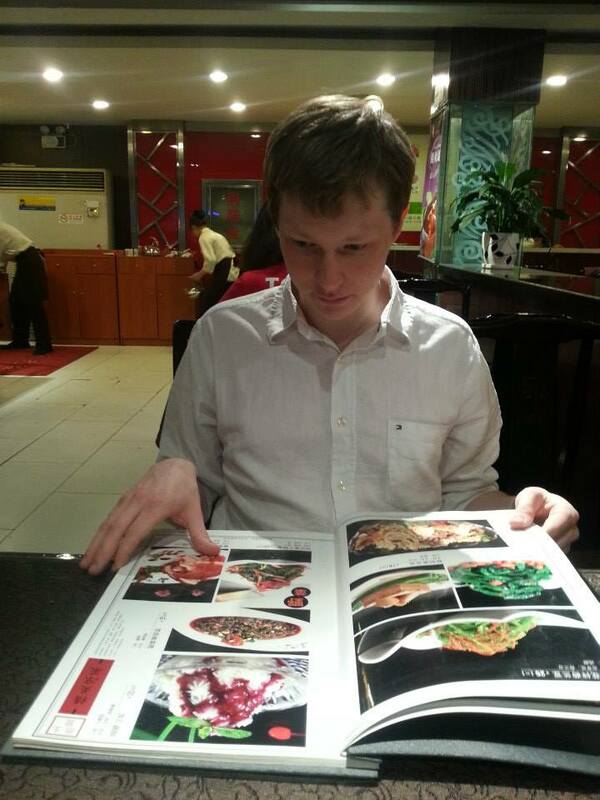 For one thing, there aren't that many Cantonese courses. And many of the ones that do exist are old-fashioned or overly-complicated and confusing. So where the heck are you supposed to get started? So many learners, including many expats who live in Hong Kong, try to learn a bit of Cantonese. The vocabulary drives them crazy, they find the pronunciation and the tones impossibly difficult. They feel so frustrated and disheartened that they just give up, because it's too difficult, there are too many tones, and it's too confusing. But that's hardly surprising, given the way Cantonese is often taught. I wanted to produce a learning resource for Cantonese based on my popular Mandarin resources that would make the language easy to understand, so easy that you would understand how it works, even at first glance. One reason that many people have struggled so much with learning Cantonese is that it's primarily a spoken dialect. People often don't learn the spoken phrases with the written pronunciation guide or Chinese characters, and they don't understand what the different parts of the phrase mean, which makes them very difficult to learn and remember. There are different ways of writing out the pronunciation of Cantonese alphabet using the Roman alphabet - the abcs that you're reading right now - so most people never understand how the pronunciation works and how the different sounds are written. Another reason why people struggle so much with Cantonese is that it has different tones: any given syllable can be pronounced in different ways to mean different things. And there are different ways of marking the tones, and it varies so much depending on what book you are using, adding to the confusion even further. But in Plug & Play Cantonese Chit Chat, I write out the pronunciation using the easy-to-understand Jyutping method. I also explain the tones in detail and just use the numbers 1 to 6 to mark them. You see, Cantonese really isn't as hard as people say, when it's fully broken down. 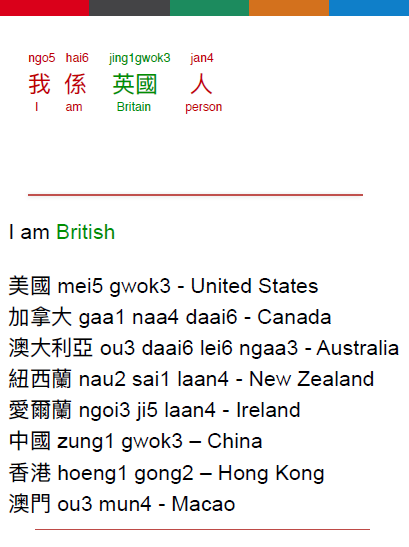 And Cantonese is like other forms of Chinese, not like other European languages. Words never change their forms, they are just like blocks that you can piece together directly into phrases and sentences. So, all you have to do to start having conversations in Cantonese is to learn the most commonly used blocks and how to put them together. Because once you understand the overall structure, you can just swap in different things, to change the meaning to what you want to say. Now you might be thinking: could speaking a language as rich and complex as Cantonese really be as simple as putting together a few blocks? This is just a tiny snippet of one part of the course, but you can instantly see what all of the parts of the sentence mean and how they are pronounced. It will make it easy for you to pick up beginner Cantonese, whether you have studied Mandarin before or not. (although if you have learned some Mandarin or Chinese characters before you'll have a big advantage, and you'll spot patterns straight away). You won't need explanations, because everything in the course is broken for you already. When you hear the phrases spoken, you will be able to produce them yourself. And if I give you different words, you can play around with the different parts of the sentence, and suddenly you can say a lot more things. You're no longer restricted to parroting one single phrase, and you can speak more freely. And before you know it, you’ll be speaking Cantonese yourself. A downloadable 80-page PDF ebook of all the phrases and ‘blocks’ you’ll need to start having conversations in Hong Kong Cantonese with traditional Chinese characters, Jyutping pronunciation guide and English translations, broken down right down to the individual Chinese characters, plus extra cultural notes. A second PDF ebook of conversations using all the material covered in the guide, so you can see all the material in action, figure out how to put it all together, plus get valuable listening practice. Complete MP3s of all the material from both ebooks which you can download and listen to on any device, wherever you are. I'm keeping the price of this course really low, because I want it to be accessible and affordable to as many people as possible. If you wanted to have a couple of lessons with a teacher, you'd have to pay at least this amount, probably even more, and the chances are you wouldn't learn as much. If you work through all the material, you know you're going to be able to walk up to a Cantonese speaker and have a conversation. You won't be struggling to put words together. You'll be prepared. You'll be able to ask and respond to simple questions and give a complete introduction of yourself. You'll also get a really good idea of how Cantonese is put together and how it 'works' and you'll have a really good foundation to continue your studies in any way you like. It's a low price, a low commitment, and you're going to learn a lot.. So, click the button below, sign up now and start speaking Cantonese right away! 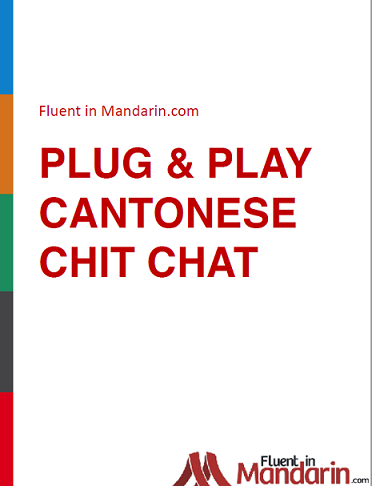 If you’re not satisfied with Plug and Play Cantonese Chit Chat, just send me an email within 30 days of your purchase and I’ll cancel your account and give you a full refund. Payment is completely secure, and is handled by a major third party payment processor, not by this site. You can pay by credit or debit card. After payment, everything is automatic. You will receive your password by email, and get instant lifetime access to the materials across all your devices. How long is it going to take to work through the materials? 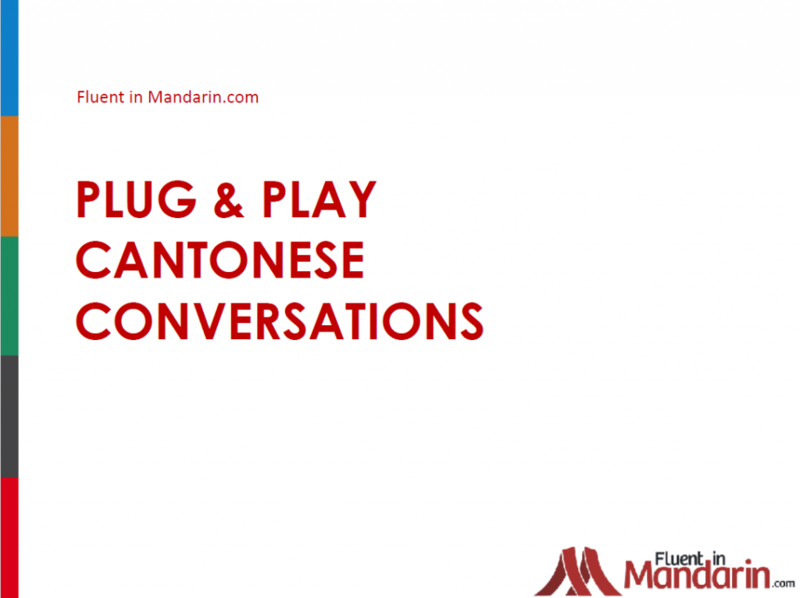 Plug and Play Cantonese Chit Chat is a mini-course that’s designed to be quick to complete. Two weeks should be enough to work through, but if you work really intensively you could complete it in a week or less. It really depends on how quickly you want to go! What level can I expect to get to with the course? Plug and Play is a short introductory course designed to teach you basic small talk you can use when you meet a Chinese person for the first time. If you complete the course, you’ll be able to give a self introduction, including where you’re from, what you do, your hobbies, your plans and your family, and use basic tourist phrases, numbers and time phrases. You’ll also learn how Cantonese ‘works’ and how to put basic sentences together. It will give you a solid introduction to the language. I want to help as many people start speaking Cantonese as possible, so I’m offering the course as a price that I’m hoping will make it accessible to everyone. My hope is that the course will help you to understand Cantonese better, set you on your way and encourage you to carry on and take your study a step further. Can I download the materials / use them on the move? Yes, the eBooks and MP3 audio are designed to be downloaded, so you can use them on your computer, laptop, iPad, iPhone, print the books out or whatever.